In essence, the beacon chain is a random number generator, and it is expected to form part of the next major iteration of the ethereum network – Ethereum 2.0 – under an alternative, proof-of-stake consensus protocol (compared to the proof-of-work approach utilized today). While the term “ASIC” in the cryptocurrency space is more commonly associated with the technology applied to mining, the proposed Ethereum 2.0 hardware is not engaging in that same, computationally-intensive process. Israeli startups have brought in more than $600 million in funding from initial coin offerings (ICOs) in the first three quarters of 2018. Crypto analytics and research firm One Alpha surveyed ICOs and blockchain projects globally, from the past year, aiming to provide an overview on the status of the blockchain and ICO ecosystem, with a particular focus on Israel. One Alpha’s survey counted 140 active blockchain-related companies in Israel, which, when combined with other forms of investment, have received $1.3 billion worth of investments. “More than 60% of the companies and 88% of the funds are ICO-related,” the report noted. Further, the token sale figures surpass the funds raised for industry startups through traditional angel and seed venture capital investments for that period as well. Blockchain startup AlphaPoint has hired a senior executive from Cboe Global Markets, the parent of the Chicago Board of Exchange. Kapil Rathi joined AlphaPoint as global head of trading markets, a newly created position, and will be in charge of the company’s trading and exchange business. He was previously Cboe’s head of equity options, and earlier worked at the New York Stock Exchange, ISE (now a part of Nasdaq) and Bats Global Markets, which Cboe acquired in 2017.Rathi said that he has been watching AlphaPoint for the last year and a half with interest and admired the progress it made helping institutions bring new products to market. The volume of trade in the crypto market sat at $11.55 billion. The market’s capitalization, on the other hand, reached $206.55 billion. In the past 24 hours, Bitcoin jumped 0.04% to trade at $6,365.84. The leading cryptocurrency’s trade volume trickled to $4.00 billion, while its market slid to $110.49 billion. Ethereum’s price jumped 0.36% to trade at $199.75. As for the altcoin’s trading volume, it reached $1.42 billion; whereas its market capitalization hit $20.57 billion. In the past 24 hours, all prices were up except for XRP’s. Meanwhile, Monero continues to dethrone TRON at the 10th spot. 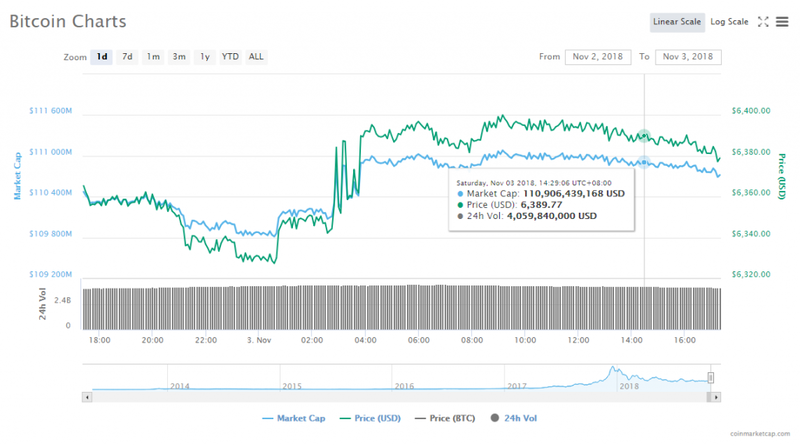 Bitcoin’s market price jumped 0.04% to $6,365.84, and its value in the market is $110.49 billion. Ethereum’s market price jumped 0.36% to $199.75, and its value in the market is $20.57 billion. 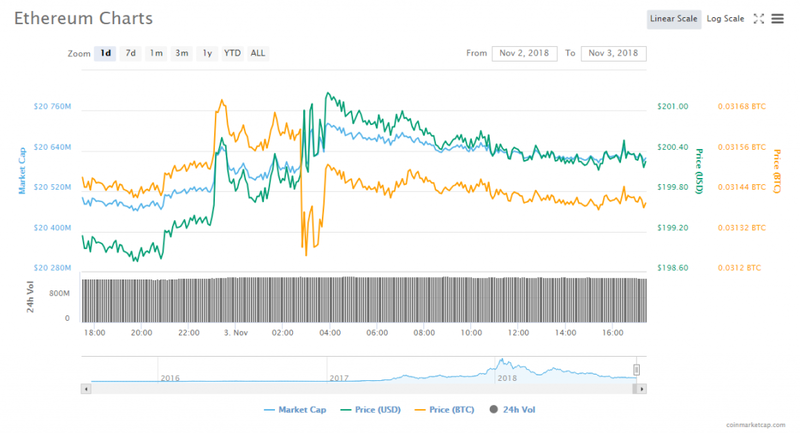 XRP’s market price fell 0.06% to $0.456654, and its value in the market is $18.36 billion. Bitcoin Cash’s market price jumped 7.91% to $459.27, and its value in the market is $8.01 billion. EOS’ market price jumped 0.75% to $5.34, and its value in the market is $4.84 billion. Stellar’s market price jumped 4.15% to $0.234326, and its value in the market is $4.43 billion. Litecoin’s market price jumped 0.42% to $50.81, and its value in the market is $3.00 billion. 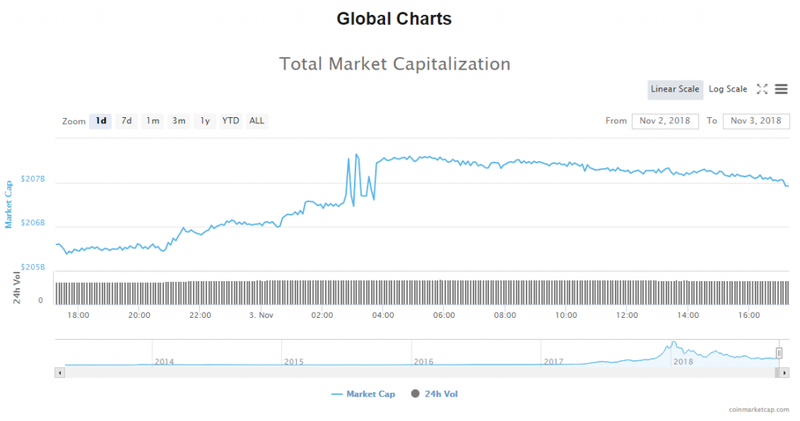 Cardano market price jumped 0.53% to $0.071419, and its value in the market is $1.85 billion. Tether market price jumped 1.59% to $1.01, and its value in the market is $1.79 billion. Monero dethroned TRON at the 10th spot, with its market price jumping 1.16% to $105.02. As for its value in the market, it is $1.74 billion. Radio antennae are, without a doubt, the original networking technology. And according to a group of researchers, they can become powerful hacking tools. The hardware researchers set out to identify the various kinds of vulnerabilities in the most popular hardware wallets used by digital currencies holders, from Trezor and Leger. Christian Noyer, formerly the Governor of the central bank of France has joined the board of directors of the UK-based technology company Setl. Setl is a Blockchain focused financial company that was founded in 2015. Coinbase, one of the world’s biggest cryptocurrency exchanges, announced that it was on its way to becoming a federally regulated broker-dealer. The exchange’s Chief Operating Officer Asiff Hirji announced in an official blog post that Coinbase had already initiated the process of getting its broker-dealer license, a registered investment advisor license as well as an alternative trading system license. Stox’s founder Moshe Hogeg, the Israeli entrepreneur, has denied allegations of misappropriating investors’ funds in a lawsuit filed against him and his company. Earlier in January, a Chinese investor by the name of Zhewen Hu filed a lawsuit against Stox and Hogeg for damages worth $4.6 million.